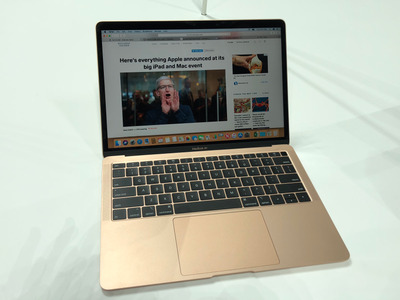 The lightweight, super-slim MacBook Air is probably Apple’s best-selling laptop. 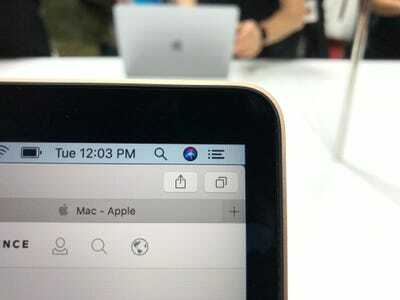 And on Tuesday, it got its first major redesign since 2010. 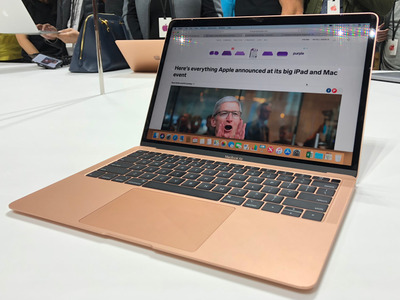 In recent years, it had been difficult to find a great Apple laptop for most people. Apple’s pro-level models had adopted an unpopular, finicky keyboard, added a gimmicky touchscreen “Touch Bar” to the MacBook Pro, and raised prices across the board. 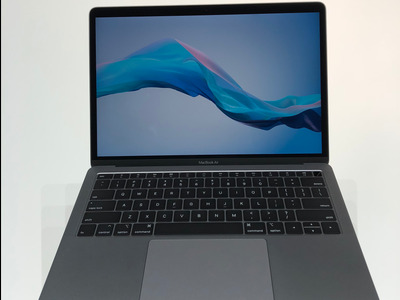 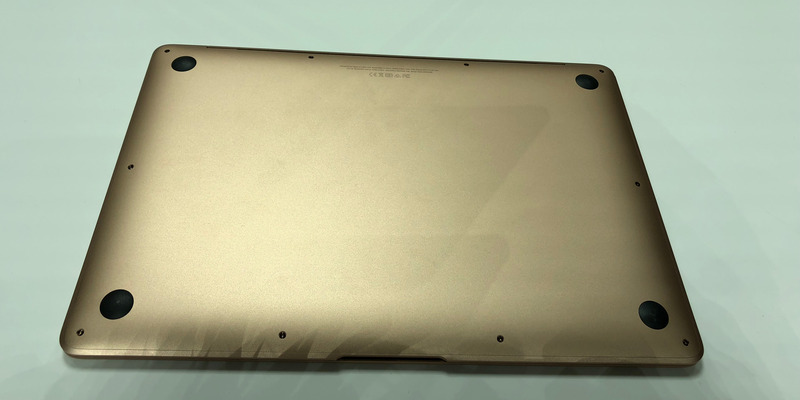 Its thin-and-light MacBook, ostensibly the flagship of the line, was underpowered and had a single USB-C port, which it also used for charging. 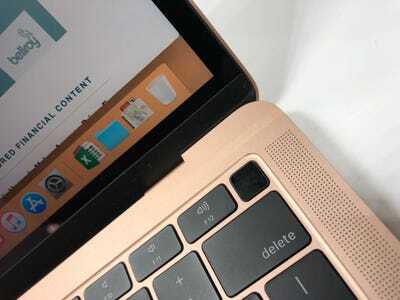 Enter the newly-redesigned MacBook Air. 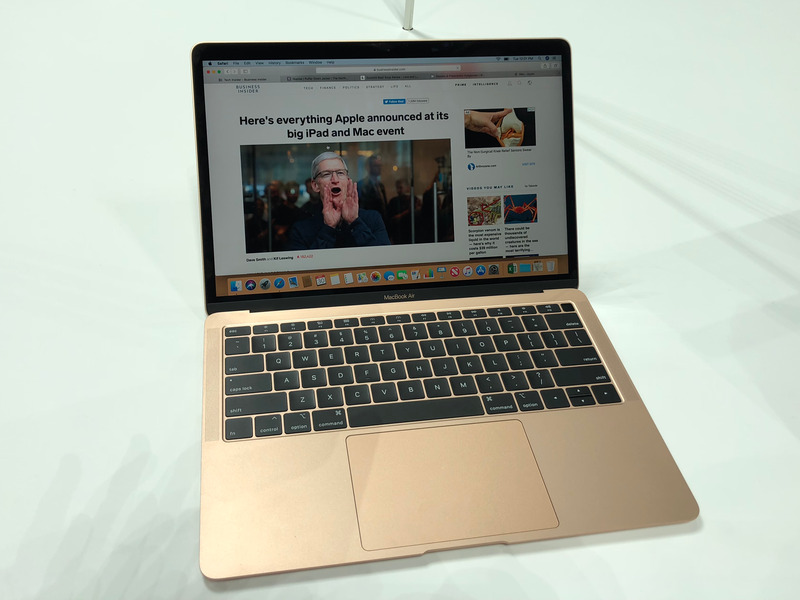 The entry-level Apple laptop has been revamped, with a new design, new ports, a “third-generation” butterfly keyboard, and a much higher-resolution screen than the previous model. 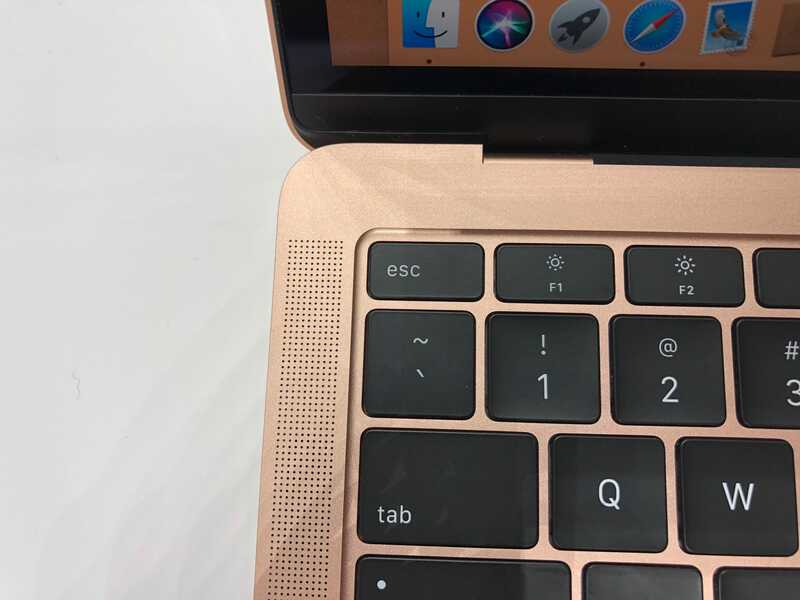 Oh, and it comes in gold now, too. 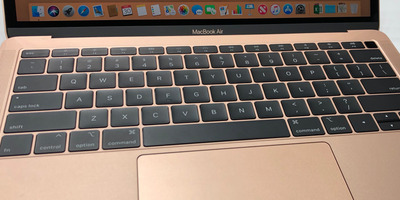 The new MacBook Air comes in three colours: The traditional silver, a darker “Space Grey,” and gold. The biggest improvement over the older models is that the screen has a much higher resolution — 2560 x 1600 — and its bezels are smaller. The screen is still about 13 inches big, though, so that hasn’t changed. 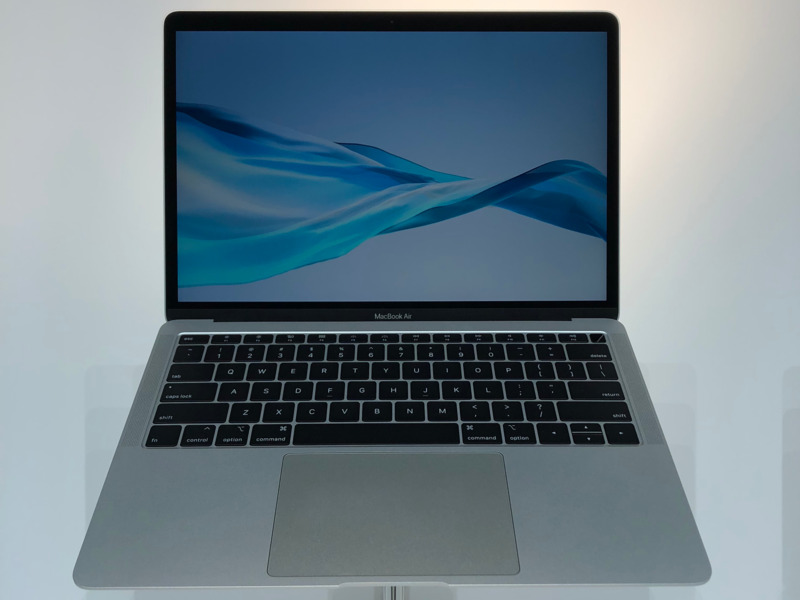 Apple says the new MacBook Air can get 12 hours of battery life. 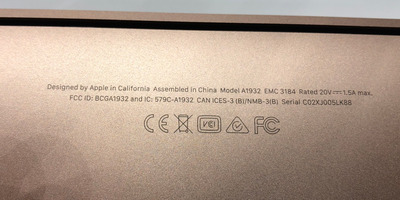 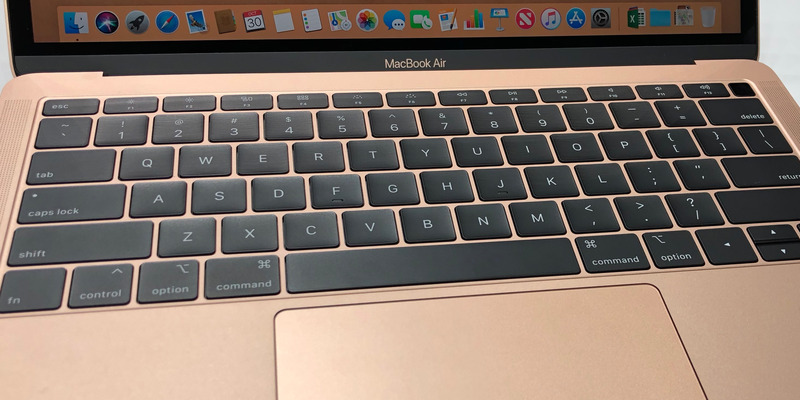 Unlike the current MacBook Pro models, the MacBook Air has an escape key. However, it also uses Apple’s thinner “butterfly” keyboard, which has caused complaints among users of other recent MacBook models. 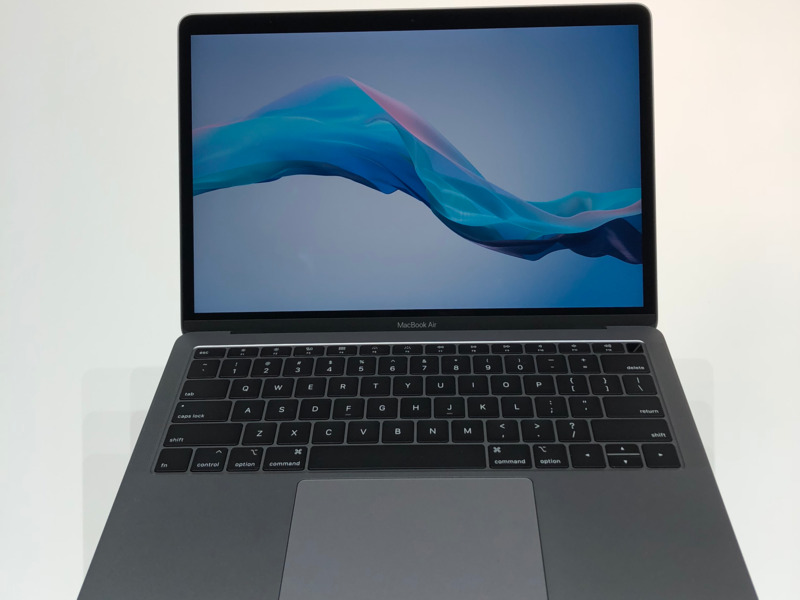 Apple says it’s a “third-generation” model that should be more responsive than the versions found in years past, though. The new MacBook Air also has a fingerprint reader so you can use Apple’s Touch ID to log in. 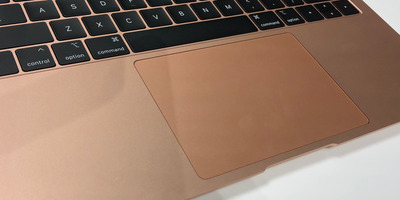 It’s the first time Touch ID has appeared on a laptop without the Touch Bar touchscreen, which can be found in high-end MacBook Pro laptops. 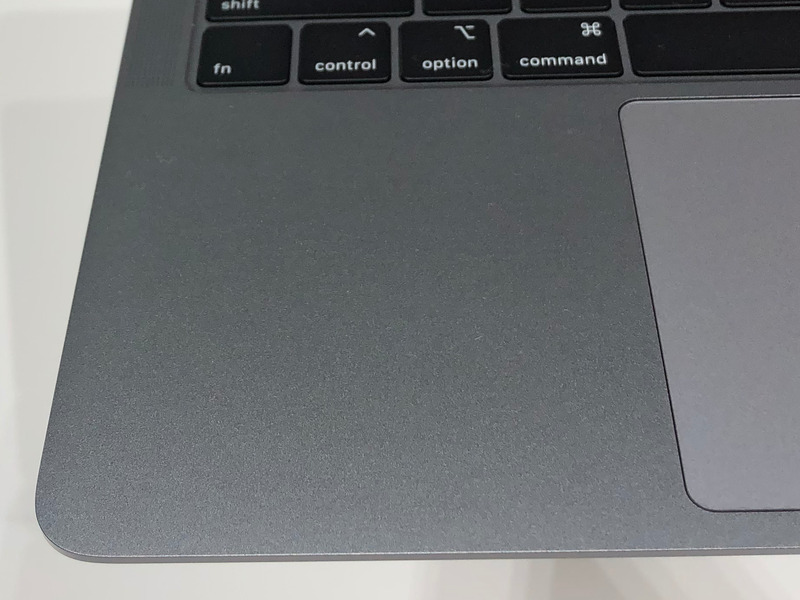 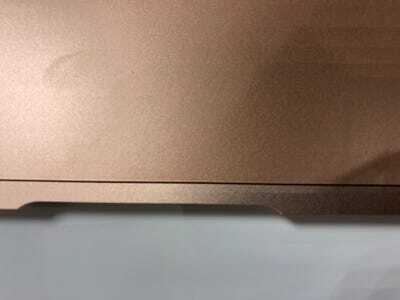 If you’ve ever owned a MacBook Air in the past, the overall design should be very similar — it’s still a wedge shape, uses an older hinge design, and even has the same trackpad cutout for lifting the screen as the old MacBook Air. The trackpad has also been enlarged. 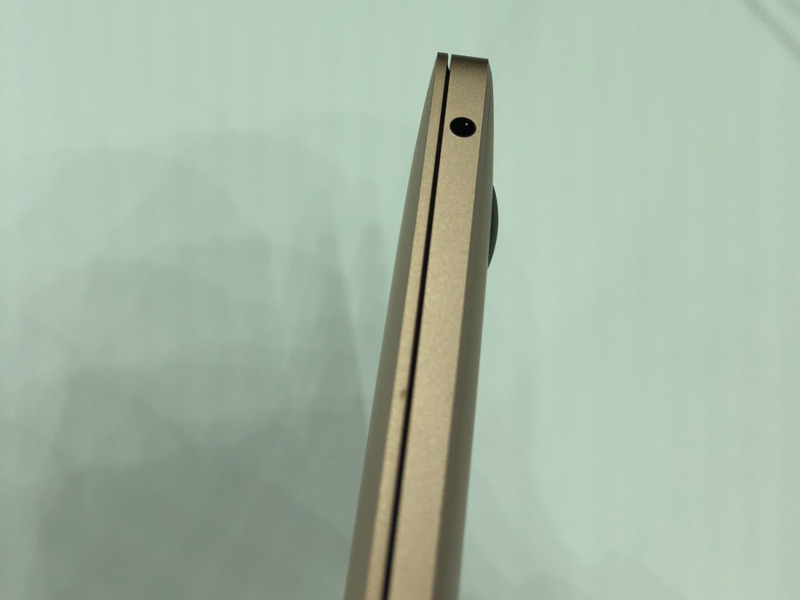 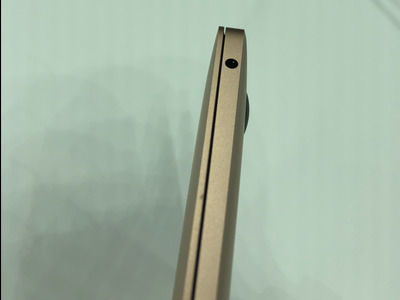 Instead of physically clicking when you put pressure on it, Apple uses little motors inside the trackpad to simulate the feeling of a mouse click. 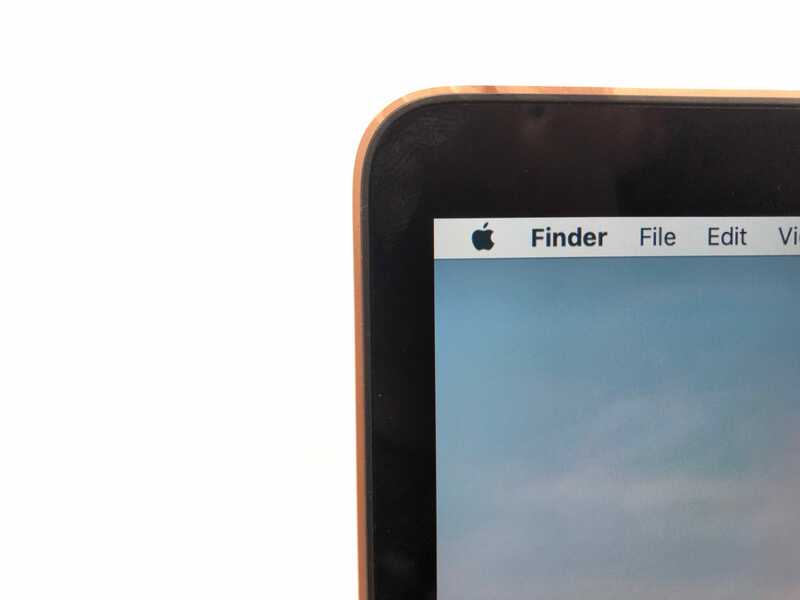 The ports have changed, too. 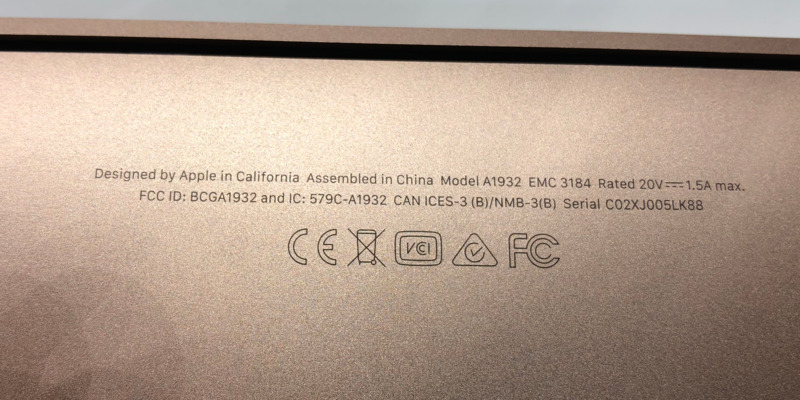 Instead of the traditional USB-A ports, Apple has replaced the laptop’s left side with two USB-C ports, matching the rest of its laptop lineup. 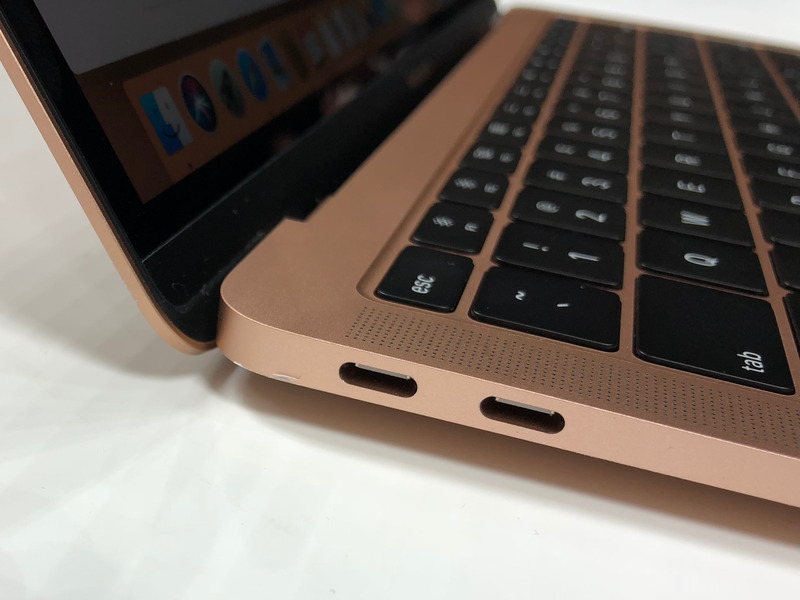 These ports are used to charge the computer as well as to connect peripherals — so say goodbye to Apple’s magnetic “MagSafe” charger. 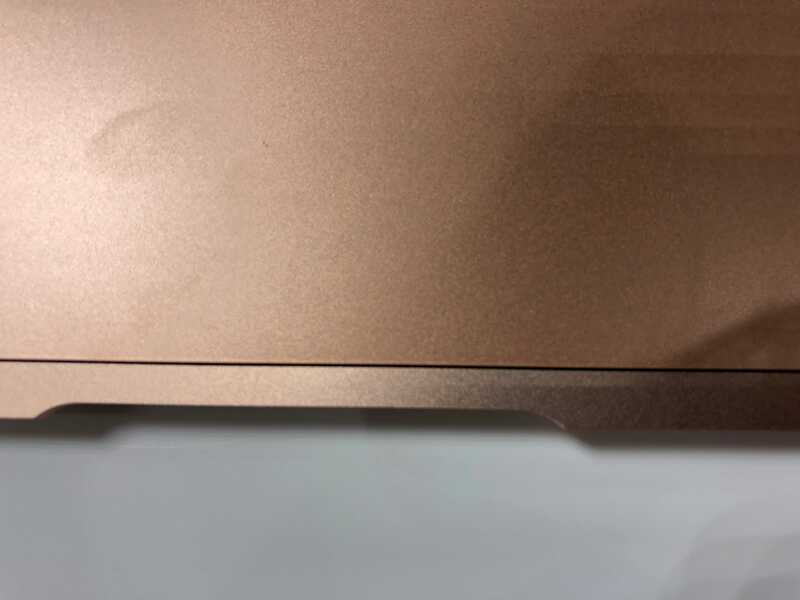 The underside of the laptop is mostly unchanged. 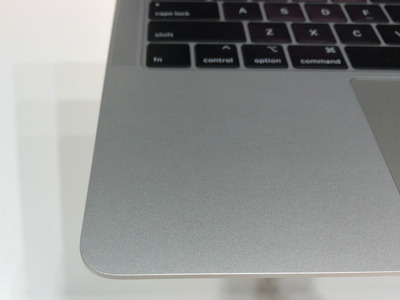 The silver colour is most likely to match your old MacBook Air, if you’re upgrading. 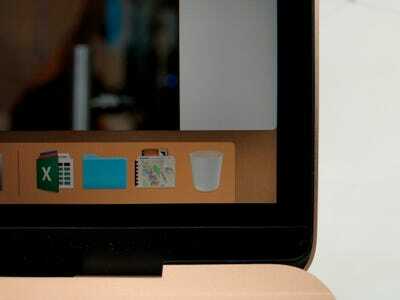 But the space grey looks very professional, too. A closer look at the space grey. 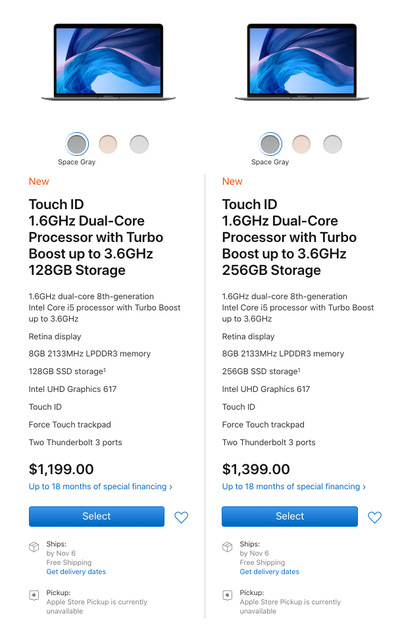 There are a lot of different configurations, up to thousands of dollars, but here are he two base models. Is it worth buying? We haven’t put it through its paces, but it really does seem like the MacBook that a lot of Apple users have been asking for.